An inspiring showcase of successful approaches and implementation methods for conservation. Australia’s nature is exceptional, wonderful and important. But much has been lost, and the ongoing existence of many species now hangs by a thread. Against a relentless tide of threats to our biodiversity, many Australians, and government and non-government agencies, have devoted themselves to the challenge of conserving and recovering plant and animal species that now need our help to survive. This dedication has been rewarded with some outstanding and inspiring successes: of extinctions averted, of populations increasing, of communities actively involved in recovery efforts. 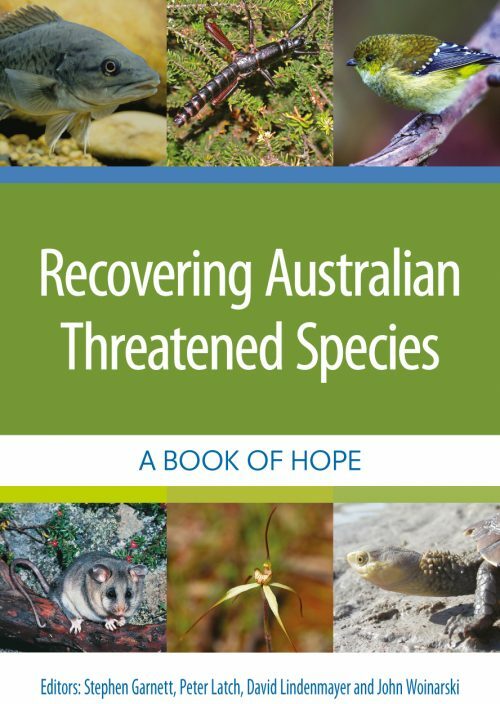 Recovering Australian Threatened Species showcases successful conservation stories and identifies approaches and implementation methods that have been most effective in recovering threatened species. These diverse accounts – dealing with threatened plants, invertebrates, fish, reptiles, birds and mammals – show that the conservation of threatened species is achievable: that it can be done and should be done. They collectively serve to inform, guide and inspire other conservation efforts. This is a book of hope and inspiration. It shows that with dedication, knowledge and support, we can retain and restore our marvellous natural heritage, and gift to our descendants a world that is as diverse, healthy and beautiful as that which we have inherited. Artist/Author: Norris, Ken and Deborah J. Pain, editors. The earth’s biodversity is currently being lost at an unprecedented rate. Conservationists attempt to reduce these losses by protecting and restoring species and habitats: correct information is vital. 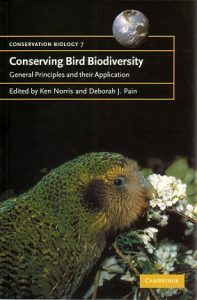 Using examples from bird conservation, this book describes and discusses the scientific principles conservationists use, and shows how these principles are applied to real problems. Conserving Bird Biodiversity takes a problem’-based approach, differing from other volumes that discuss either general conservation principles or practical techniques. It will be essential reading for students, researchers and practitioners in conservation biology and wildlife management. Also available in hardcover. Artist/Author: Leseberg, Nick and Iain Campbell. One of the most amazing wildlife-watching destinations on earth, the Top End of Australia’s Northern Territory is home to incredible birds and animals, from gaudy Red-collared Lorikeets to sinister Estuarine crocodiles and raucous Black flying-foxes. 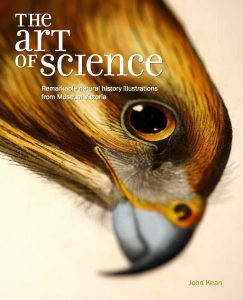 With this lavishly illustrated photographic field guide, you will be able to identify the most common animals and learn about their fascinating biology, from how Agile wallaby mothers can pause their pregnancies to why Giant frogs spend half the year buried underground in waterproof cocoons. The Top End stretches from the tropical city of Darwin in the north, to the savannas of Mataranka in the south, and southwest across the vast Victoria River escarpments to the Western Australian border. The region includes some of Australia’s most popular and impressive tourist destinations, such as Kakadu, Litchfield, Nitmiluk, and Gregory national parks, and is visited by more than two hundred thousand tourists every year. 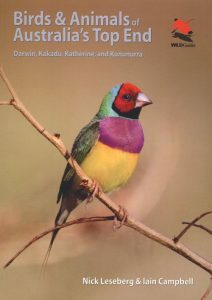 An essential field guide for anyone visiting the Top End, this book will vastly enhance your appreciation of the region’s remarkable wildlife. 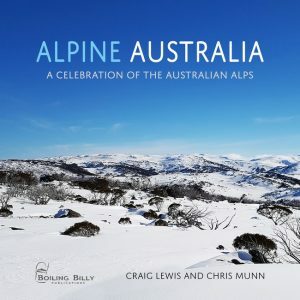 Features hundreds of stunning colour photographs along with concise information on identification, habits and preferred habitat for each species.